Life lesson time. When things can go wrong they will. 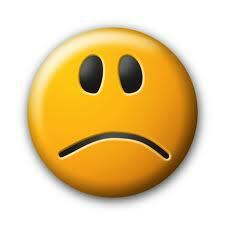 We've had another setback with production of the CPR plywood sheathed car. Sigh. Between casting issues and artwork problems with etchings and my work schedule, it is looking like another month at least before I can market these kits. Please be patient, it will be worth it. They just didn't fool around! The biggest freight car in the world!? In HO scale it's certainly the longest model I've ever had the privilege to handle. This impressive brass model is imported by HO Railworks and comes with both of the centre bridges that you see. The depressed centre and the through well version. I was asked to paint and weather this car and this is as far as I've taken the weathering pending approval from the client. It's easier to add more weathering if he wishes, far harder to remove it. 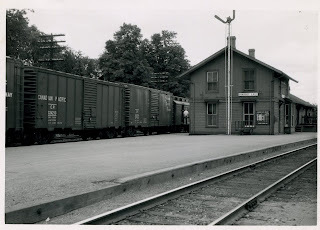 First built in 1923, the ATSF developed this unique looking boxcar. The cars used a unique side sheathing design that used U channel verticals that faced outwards and the wood sheathing was secured between the exposed channels. These were the "signature" cars of the ATSF. The cars were built in single and double door versions. They were modified over their lives into stock cars, reefers and salt cars. HO scale models have been made by Westerfield and Sunshine, which covers most of the variants. This model is the O scale offering from Chooch. Jim Zwernneman created the exquiste patterns for this model. This is the third one of these I've built over the last few years and I've yet to tire of looking at this car. Painted and weathered, this car always looks stunning! Unlike their HO scale cousins, O scale resin kits do not have preformed grabs included in the boxes. So we have to bend our own. The same issue can arise on cars with special grab widths or styles. The half grab comes to mind. I have 2 super simple tools to assist me in this task. I don't take credit for them, but share them as they were shared with me. The first was from Ted Culotta. Take a strip of scribed styrene and cut it to a wedge shape. Dimensions are not remotely critical. Lay the "tool" against the model and determine which "slot" is best for the grab width required. Mark with a pencil and start bending as shown. The final bends can be cleaned up off of the tool. If you find you've got too many marks, toss it and make another. Drop grabs present an additional wrinkle. Need to have all those bends the same. So I made a little "trap" from styrene to hold the grab. I use another bit of styrene to keep the grab in the bottom and simply push the legs over. 2 down, 34 to go. Slightly tedious but the end results are worth it. why custom building rates for building resin kits appears to be expensive? Well here in part is why. This is a rig I had to create this morning to get a roof casting to fit. 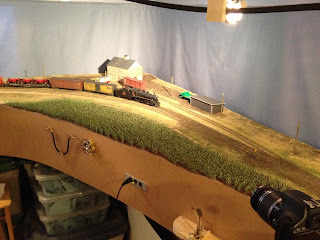 The casting is of a radial roof created for an O scale boxcar. The pattern work for the whole car is exquisite and the casting work itself is not bad. What I had to deal with is not atypical for dealing with the variables of resin. The rectangular plug added to the roof casting was a good 0.080" too wide to fit in to the shell created by joining the sides and ends. So faced with the prospect of filing 0.040" x 0.125" off of each side I setup this little milling jig to hog off the offending material. It certainly made short work of the task, compared to hand filing. But it still took up a chunk of time that could have been used assembling parts. Now, I'm not complaining. I'm just pointing out what has to be done at times. And I don't get to charge extra for the fix. We're talking rolling refrigerators! Not the other thing. I gave that stuff up in 1984. Didn't do me any good and I preferred to spend my spare cash on model trains. I just completed 4 Sunshine reefer kits for a client, and I have 5 more to build for him. Nice variety. Reefer kits are where I really prefer flat cast kits over one piece bodies. I can clean and detail the sides, ends, roofs and underframes separately and then paint them their different colours. Who needs masking tape? Some hand painting is, of course still required, but anytime I can leave the tape on the shelf, I'm a happy camper. The cars were weathered with a combination of washes, sprays and Pan Pastels. My new favorite weathering medium. Get some and try it. I was at the annual Copetown Train Show this past Sunday and received a lot of attention for the CPR plywood car. A good number of people asked about being notified when the kit was ready. My usual response in the past has been to say, "I take no deposits and no reservations". Saves a lot of potential grief that way. But I have now decided to compile a list of people who wish to be notified when the kit is ready. So if you are one of those people, send me an email at pierre.oliver@start.ca , with the subject line "CPR notification" I'll let you when the kit is ready for sale. During the course of the day, Tony Van Klink came by and shared this image with me. A very nice image of one of the plywood cars in Sharbot Lake, ON. The car looks pretty good for being 16 years old. After many years of careful consideration, contemplation and observation, I've decided that most, if not all, model railroaders are a tad nutty. And I happily include myself in that. Over 2000 individual corn plants. Looks awesome, but oh the humanity. It looks like summer 1951 or 52. 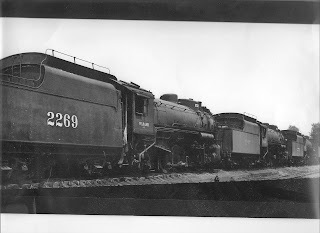 The deadline of Wabash K-3 Mikados waiting to be returned to the US for scrapping. 18 of these beauties were displaced by the purchase of 10 pairs of F-7s from GMD in London. The K-3 class was the most powerful non-boostered Mikado to run in Canada. Truth be told, I'm actually relieved that there's no brass model of these brutes. It would be second mortgage time. I'd want 8 of them at least. It was announced on the Yahoo Steam Era Freight Cars List today, that Martin Lofton passed away Jan. 4 of this year. 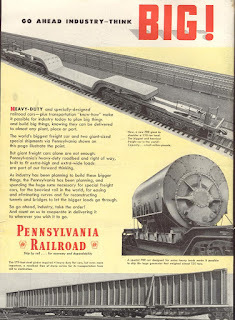 Martin was the owner of Sunshine Models and a well known author and freight car historian. He started the Naperville Prototype Modelers Seminars many years ago. Today's announcement comes as a shock to most of the HO scale prototype modeling world. Martin's contributions to prototype modeling was immeasurable. I had the privilege of getting to know the man a little. He was always pleasant and congenial. Martin's wife Trisha, plans to attempt to continue keeping Sunshine models in operation for now. Only time will tell for that one.